League of Legends has suddenly and decisively reclaimed the lead from Overwatch as the most-played game in South Korea’s famous ‘PC bangs’ – a kind of large-scale internet café where many Korean youths go to play on powerful, networked PCs. Fancy setting up your own PC bang? You’ll want to run one of the best multiplayer games on PC. 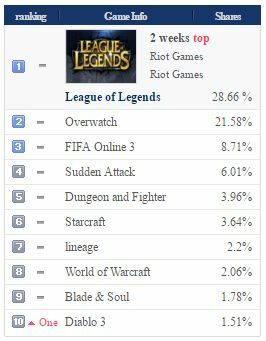 According to Gametrics, League of Legends has been in first place for the past two weeks. At time of writing, League enjoyed a 28.66% share of playtime to Overwatch’s 21.58%, a difference of more than seven percent. As PvP Live report, the margin was recently as wide as ten percent, and hasn’t been that big since Overwatch first launched. It was some time into June, about three weeks after its launch, thatOverwatch made it within 1% of Leaguebefore eventually overtaking it. Why the sudden and drastic falloff? Overwatch’s competitive mode has been in off-season this past week (season three starts today), so this might have contributed, but the game has also been suffering from a recent plague of hackers. One particularly popular aimbot deliberately misses from time to time, confounding Blizzard’s ability to detect it. The two forums where these hacks are mainly found have over 300,000 views. The majority of Koreans play their games in PC bangs, as they typically offer better machines than Koreans have at home, all linked on fast networks. 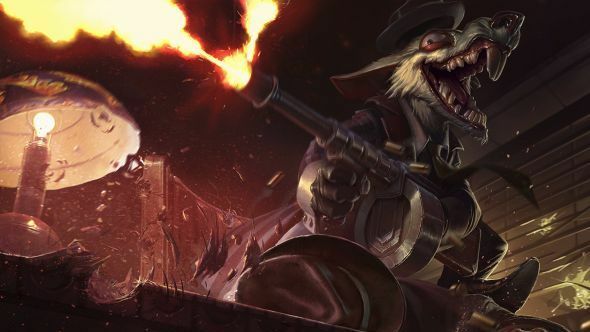 Hence a game’s audience share at PC bangs is a good way to get a sense of its popularity, in lieu of consistent, reliable player numbers from folk like Blizzard and Riot.